This arena was looking dingy and dirty. 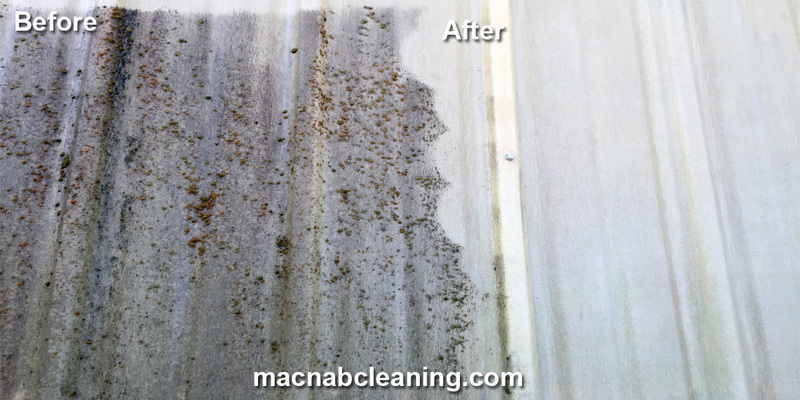 After a treatment and a low pressure soft wash rinse, the results are clear. With the moss, algae and mold cleaned off, the arena looked bright and presentable again. Our clients were very pleased with the final touches and asked to have more areas cleaned.